Say hello to the D-Pod! 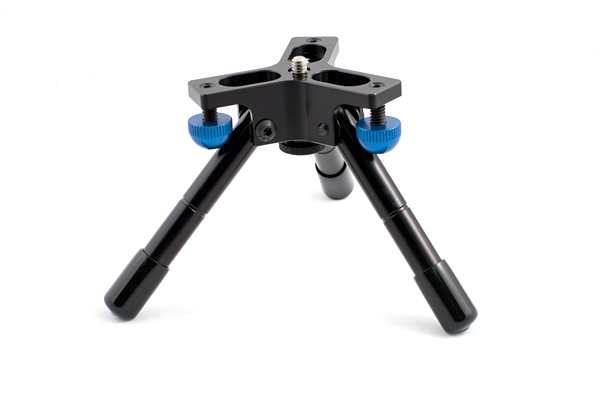 Designed primarily for use with the Stage One and Stage Zero, the D-Pod provides three points of connection to the ground for stability when setting up Stage Ones (when attached to the snap-in mid-spans three points are required), but also double as a powerful micro-tripod for normal use as well. 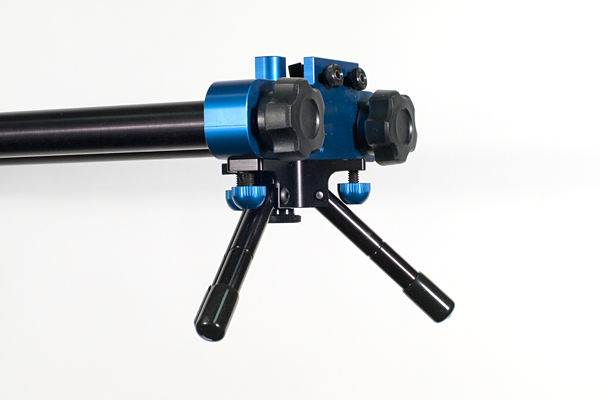 The integral 1/4-20 secured mounting stud will let you hook up to most cameras, ballheads, the Stage One slider, and the Stage Zero dolly. 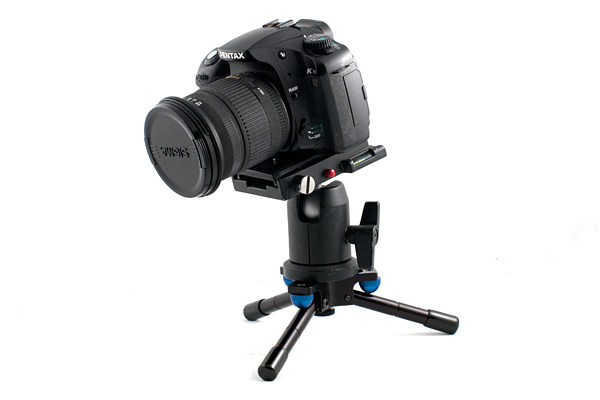 The D-Pod is truly the David to any other tripod's Goliath. Weighing in at just over 7 ounces each (199 grams), they boast a massive load capacity of up to 150 pounds (68 kilograms) each1. Fully-height adjustable between 2.25" (5.7cm) and 3.8" (9.6cm) with each leg able to independently cover the distance swing. Need more grip? 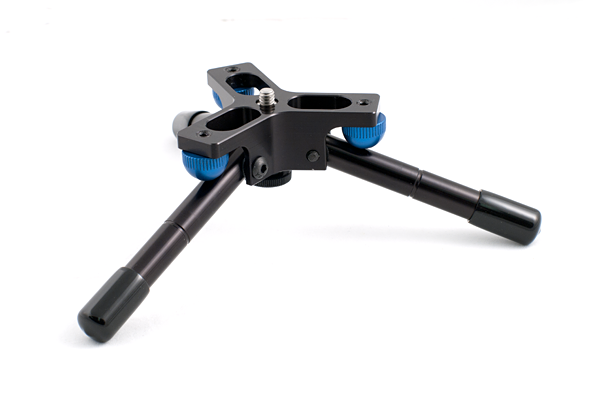 Each leg features a standard 3/8-16 threaded hole to allow for any standard threaded tripod foot to be attached, from rubber feet to stone-gripping claws. (The legs come with slip-over rubber covers, you'll need to purchase your favorite feet separately.) At release time, we'll also have leg extenders available to give you more height adjustment capabilities. We expect to have them ready for retail in approximately four to five weeks, and the final retail price will be $140.00 each, or a set of two for $250.00. Each D-Pod comes with our exceptional 1-year warranty. The Euro price will be available soon. Looking to shed weight on your Stage Zero, go low with your Stage One, or just add a super-duty tabletop tripod to your kit? The D-Pod won't let you down -- well, at least no further than you want to go.